Anything that is cooked in the tandoor (Indian clay oven) can also be cooked on the barbecue or under the grill. 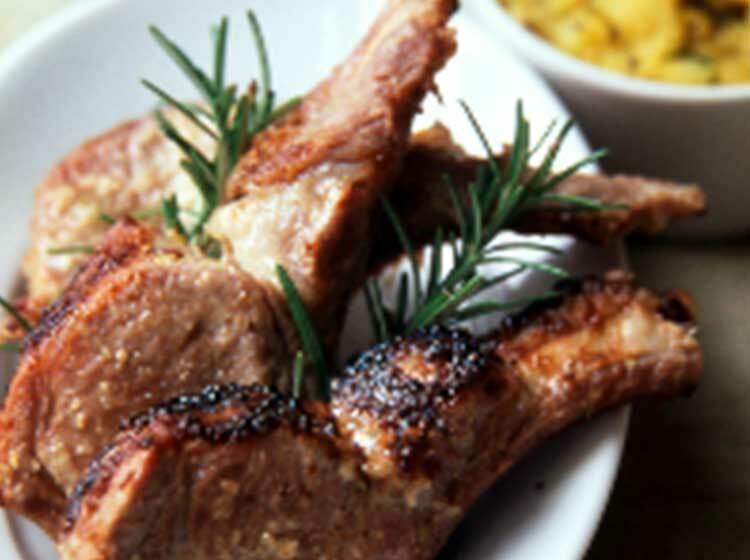 This is a quick and easy recipe once you have marinated the lamb chops. They can be refrigerated for up to 48 hours if necessary. They have to be marinated twice and this method results in deliciously tender and succulent chops. Prick all over the chops with a fork and place them in a non-metallic container. Mix the first six ingredients together and pour over the chops. Stir until the chops are fully coated and set aside for 2-3 hours. Soak the cashews in the boiling water for 15 minutes then puree in a blender along with the water in which they were soaked. Grill the chops under a preheated hot grill or over hot charcoal for 10-12 minutes turning once. Remove and baste with the melted butter. Grill again for 2 minutes on each side. Remove and serve with a mixed salad.